The Warrior Products Universal Brush Guard is designed to attach to any flat surface front bumper with a wide enough top surface. 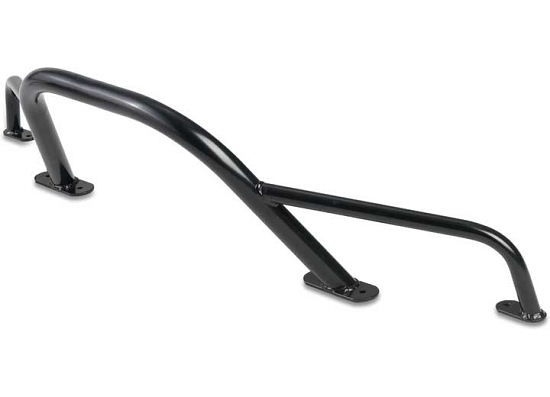 Manufactured using high quality steel, this one-piece welded guard is formed form 1 ½” round steel tubing, and provides protection when off-roading from shrubbery to the front grill and headlights. The guard accommodates an optional light tab accessory (#59003). Pre-Runner and Stinger Brushguards are built with an agressive angled look and have optional side support struts for added styling and strength. Applications available to fit JK Stubby Bumper and shallow mount to fit most rock crawler style bumpers. Center hoop only applications available as well; these versions have no side struts.